"From Here To Andromeda" is a documentary film by David Sereda which features analysis of some mind blowing UFO footage and explores the areas of Sustainability, UFOs, Space Propulsion Theory, Spirituality, and Human Ethics, taking us on a journey to solve the greatest riddle in the universe: How can we travel faster than the speed of light and go anywhere in the universe in minutes? 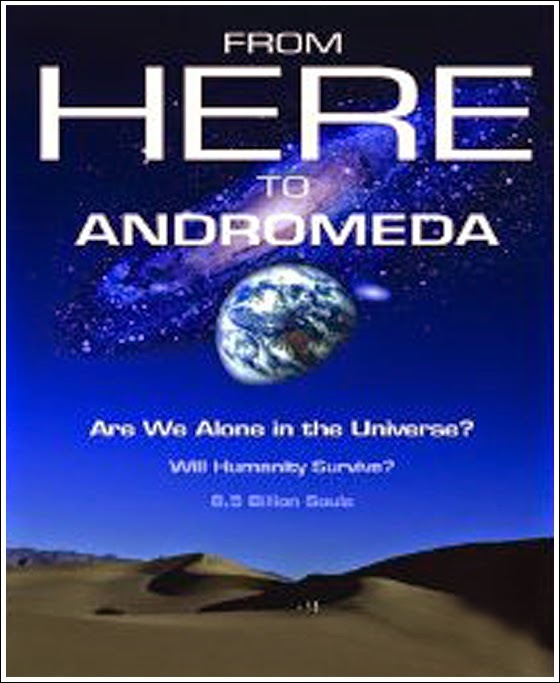 From Here To Andromeda features a rare interview with former senior research engineer Boyd Bushman who worked for Lockheed Martin, Texas Instruments and Hughes Aircraft. He is regarded as one of the inventors of the Stinger missile and he speaks on Camera about Area 51 and advanced propulsion systems being tested there. Boyd Bushman reveals that Lockheed Martin has researched antigravity technology, specifically gravity manipulation by means of magnetic fields and he explains how he experimented at Lockheed Martin's Fort Worth, Texas facilities, proving that magnetic fields affect the gravitational field and because of that, bodies don't fall with the same acceleration, a result different from the classical experiments made by Galileo with no magnetic fields present. From Here To Andromeda also features Robert Thurman, the Je Tsongkhapa Professor of Indo-Tibetan Buddhist Studies at Columbia University, who gives us the Buddhist perspective on the Extraterrestrial presence engaging the Human Race. David Sereda's "The Voice : The Cosmos & The Quantum Universe"